To be recognized by our partners, business and community leaders, and event clients as a premiere organization in Central Virginia that drives sports tourism, economic development, and community vitality through sports. 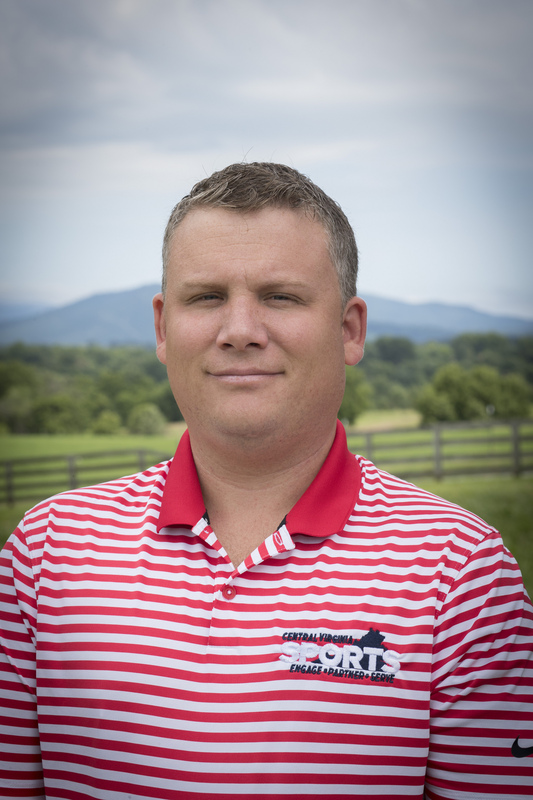 Billy Russo serves as Executive Director of the Central Virginia Sports Commission (CVSC). Billy Co-Founded Central Virginia Sports (CVS). Russo is responsible for managing the day-to-day operations & financial performance of the organization while developing & recruiting new business opportunities. Russo manages the marketing plan, goals, & the mission and vision of the CVSC. He is the main liaison for the CVSC Board of Directors. Russo utilizes years of event management experience to develop and create world class sporting events. Russo utilizes his network of contacts and relationships in recruiting sporting events to the region. Russo brings over 13 years of sports management, marketing and tourism experience to Central Virginia Sports. He is the former Director of Operations & Facilities (COO) of the DE Turf Sports Complex where he led the operational development, budget development, & event management of a world-class sports complex in Delaware that opened in 2017. Prior to his position at DE Turf, Russo served 9 years as the Executive Director & Director of Operations for the Smith River Sports Complex in Martinsville, VA. In Martinsville, Russo led the Smith River Sports Complex in financial management, event recruitment, and day-to-day management of all departments, staff, and events. In 2012 he was named young professional of the year by the Martinsville-Henry County Chamber of Commerce. Russo holds a Certified Sports Event Executive Certification (CSEE) and has been a member of the National Association of Sports Commissions since 2008. From 2010-2016 Russo was an active member of the statewide sports tourism initiative Sports Virginia. He earned a Bachelor’s Degree in Sport Management and a Master’s Degree in Sport Studies from High Point University. Russo resides in Lynchburg with his wife Amanda and their son Carson. Dan Ebersold, Owner & Operator, Gates Flag & Banner Co.